I love this poem. It has been a cornerstone of most of my recent submissions, from the MFA application to a chapbook competition, I think the lofty haze it offers the reader is a strong demonstration of my work. The library, should I come out and say it? The title, is it awesome? The dreamers, should I show them more? Nonetheless, I will be trying to get this poem published until I die… or someone takes it. I love the flow, the haze, the simplicity, the readibility. For now I will call this finished and let that be it. 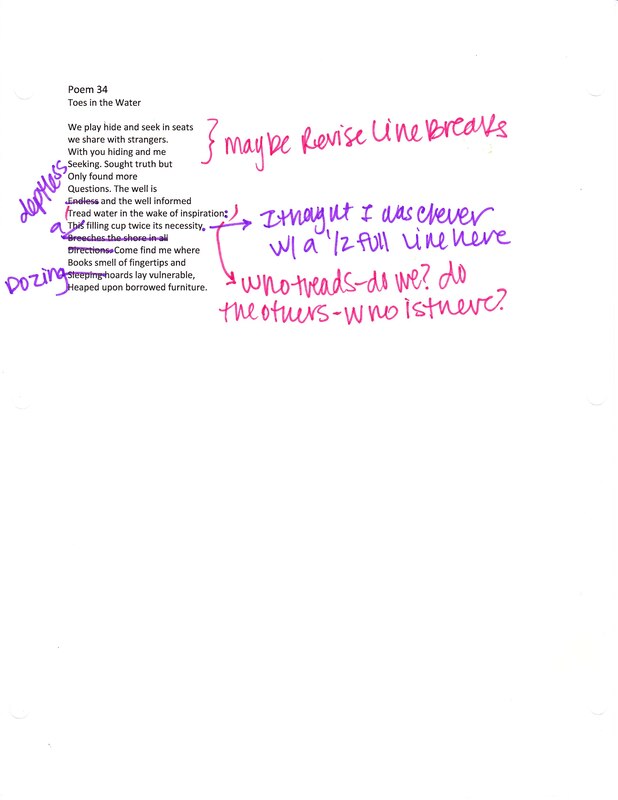 Even when poems are near or mostly finished, there is still room for improvement. Keep in mind the things you love and are unsure of in the pieces you consider finished in case you ever want to crack them open again. There are lots and lots of ways and opportunities to edit, even the poems we deem done.